Today I have an absolutely amazing polish to show you. I know, I know... 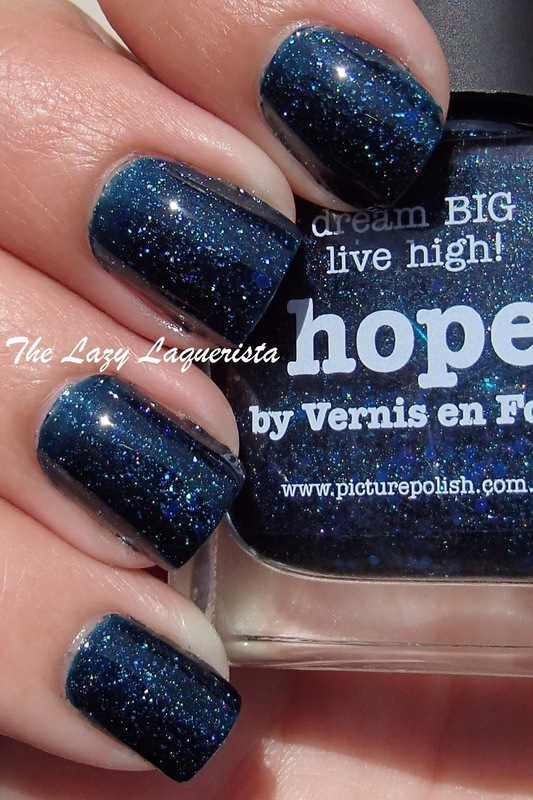 I say I love pretty much every polish I show you but seriously, this one is extra amazing. 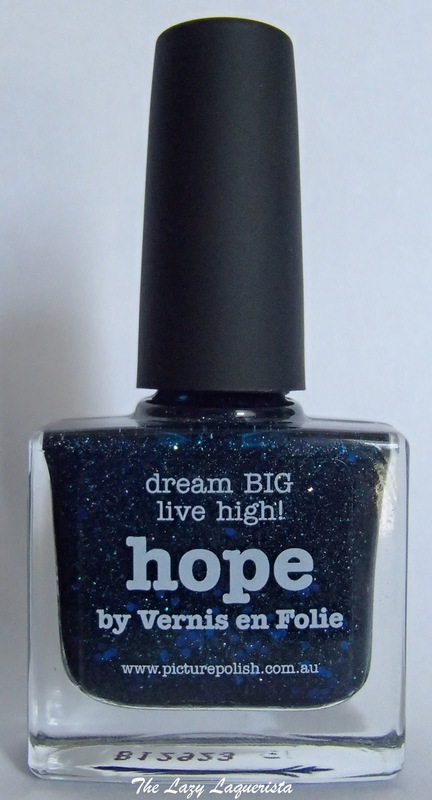 Picture Polish Hope is a deep blue jelly with teal micro glitter, holographic micro glitter and handful of small blue hexes. This formula was flawless and reaches opacity in two coats. Despite containing lots of glitter it dried to a glassy sheen. I only added a thin top coat to avoid chipping. 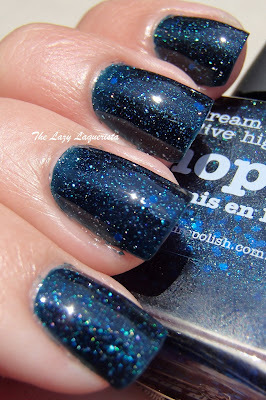 I didn't actually realize that there was some holographic glitter in this polish until I went outside to take the swatch pictures. 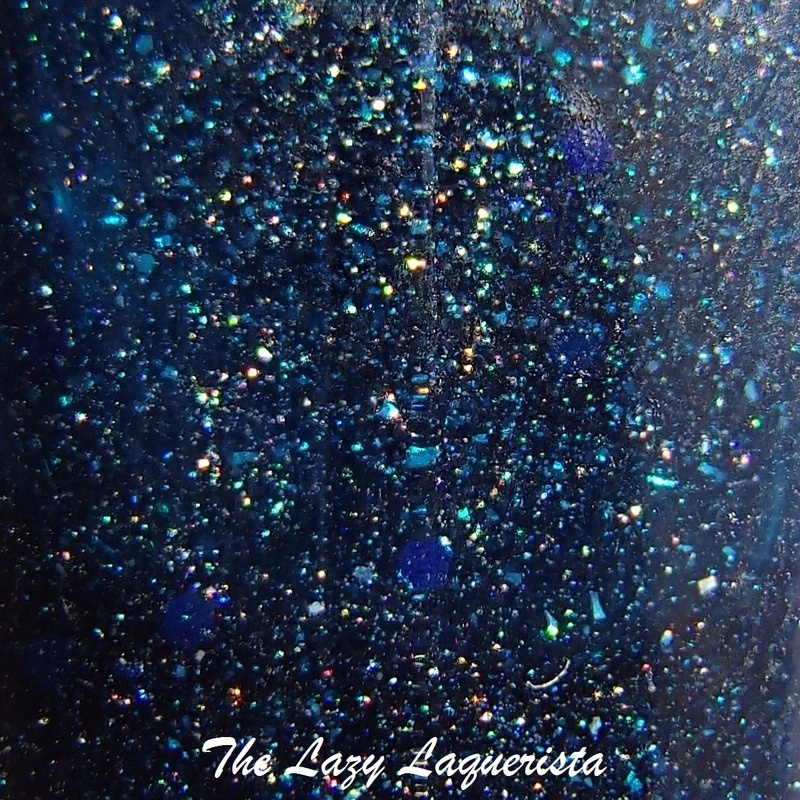 In indoor lighting or shade it's the teal microglitter that shows most. I just can't stop staring at my nails because this polish is so pretty. Pictures show two coats of Picture Polish Hope with one coat of CND Super Shiney top coat. The one on the bottom left shows the polish in shade where the teal microglitter stands out. 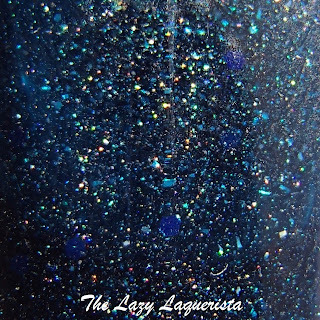 The rest are in direct sunlight where you can see the holographic microglitter come to life. Picture Polishes are a bit pricey but this one is worth every penny. 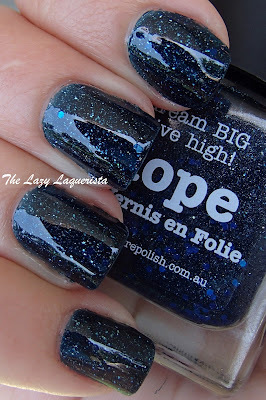 The colour and glitter combinations are perfect and it has one of the best formulas for a glitter polish that I have ever tried. think I'm going to have to try some more polishes from this brand in the future. 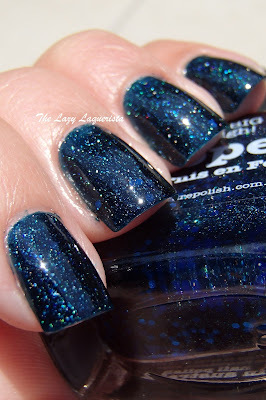 What's expensive polish do you have that you think is worth the price?